When it comes to power chords, the more practice the merrier. 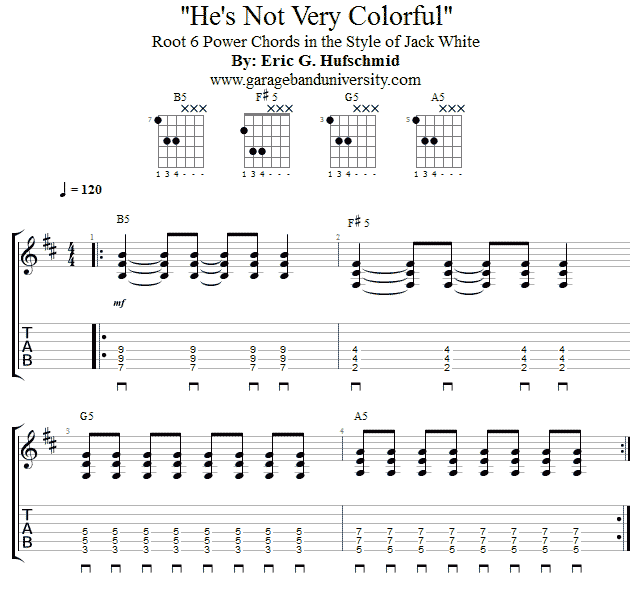 This time we’ll be checking out a nifty example in the style of this generation’s great riff writer, Jack White. Jack White uses beat up old guitars and very little effect processing, but his sound is still powerful and unique. Keep his bare bones approach in mind as your rock out to this riff. Master this riff and you’ll be ready to move! Also, try mixing and matching power chords to see if you can come up with a cool Whites Stripe style riff as well!